In the period from 11.04.2018 to 15.04.2018 in the city of Haskovo, Bulgaria was held Second Training Activity under the Erasmus+ project IMCEskills. The Blended Mobility was 5 days long. The participants were from three countries. 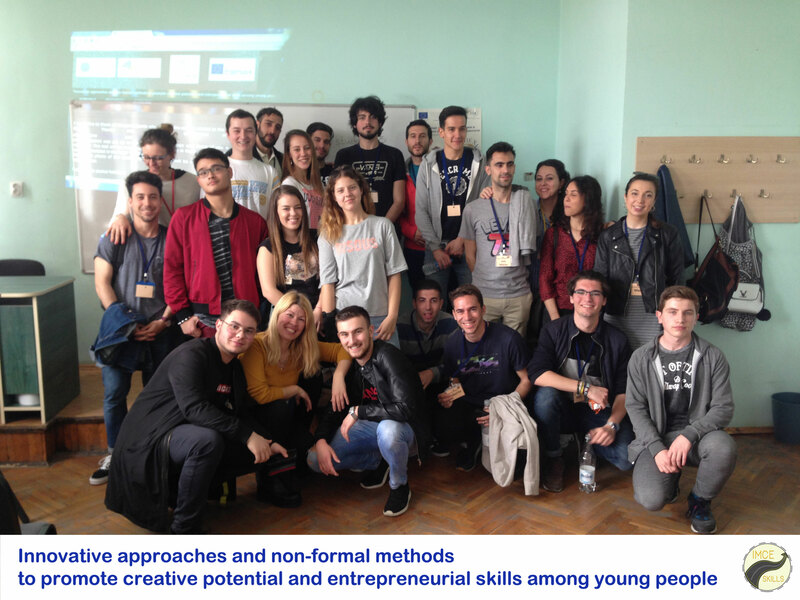 From Association PROJUVEN, Spain – 9 youngsters, 5 young people from Italy, sent by FUTURO DIGITALE and 6 participants from Academy Future for Business Development. 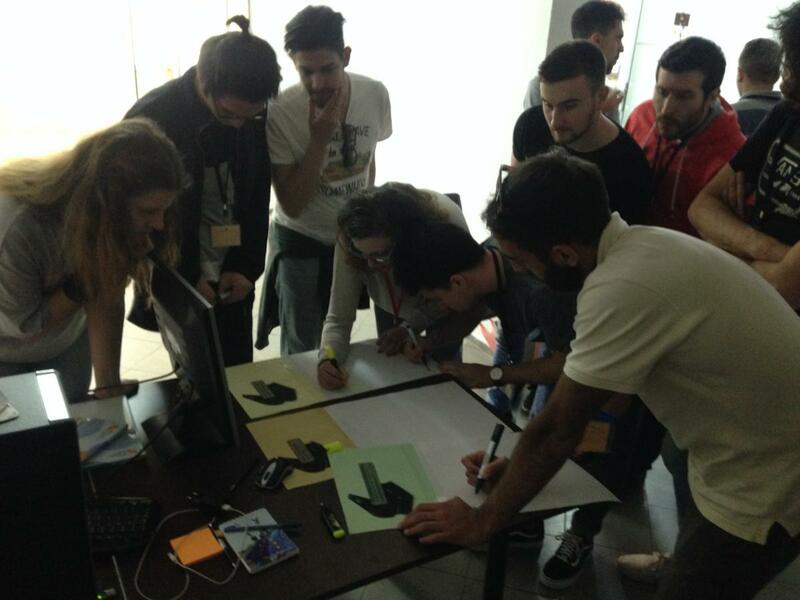 The main objectives of the training were to develop the participants’ creativity, their entrepreneurial attitudes, the knowledge related to the use of digital technologies for presentation and providing financing for innovative ideas and, last but not least, the development of teamwork in working on a specific case. The participants visited Secondary Natural Sciences School “Acad. Boyan Petkanchin”, where they were greeted with the joy of teachers, students and the leadership of the elite high school. School Director Ms Donka Todorova expressed the view that it is very important to look for opportunities for integrating non-formal education into formal school practices. What does Crawdfunding do and how does it work? Famous Crawdfunding Platforms. Analysis of web content and data collection by criterion. How to organize an event in order to promote our good idea to the audience? In the office of Academy Future for Business Development Mrs. Gergana Petrova – the Project Coordinator and Microsoft Innovative Educator Trainer Expert, presented to the project participants how the use of Cloud technologies and SWAY platform for presentation can greatly facilitate communication in a business environment. The youngsters also participated in role-playing games: Bingo cards and Treasure chest. Their rules were clarified in advance using a presentation that, along with other materials, was uploaded to the shared disk space of the project. The project participants visited the company “Totalal 5”. Mrs. Zoya Koleva talked about the family business related to confectionery. She summarized that the most important quality of a successful entrepreneur is persistence, following new trends and tastes of consumers. The youngsters also visited the Youth Center in the town of Haskovo. Discussions were held with Mrs. Neli Arnaudova, Head of the Ethnography Club, Mrs. Galina Shtereva – Head of the Dance Ensemble and Mr. Slavyan Kostov – Head of the Photography Club. We were greeted with bread and salt in an old Bulgarian custom, took on a traditional Bulgarian horo and were fascinated by the sounds of the Bulgarian bagpipes. During the Erasmus+ Training Mobility meeting was held with representatives of the local government – Mr. Stanislav Dechev – District Governor of Haskovo, Ms. Stefka Zdravkova – District Governor of Haskovo and Mrs. Hristina Boeva – Head of Regional Inspectorate, Haskovo. The event was fully reflected in the Haskovo regional media and different social medias, which achieved wide dissemination of the Erasmus + IMCEskills project. The participants in the project visited remarkable places in the resort village of Mineral Baths, located near the town of Haskovo. There they had the opportunity to get acquainted with the base and services of one of the most famous hotel complexes in Mineral Baths – Hotel Bulgaria. During this Training Activity the youngsters formed three “Creative Agencies” with international membership and created and presented three advertise videos. Till the end of the project, each of the Youth Creative Agencies will continue to develop their skills in the area of advertisement and will produce and publish promotional materials in the created online area https://youthagencybg.wordpress.com/, related to topics relevant to young people.